1.Made of high-quality carbon steel nickel-plated. 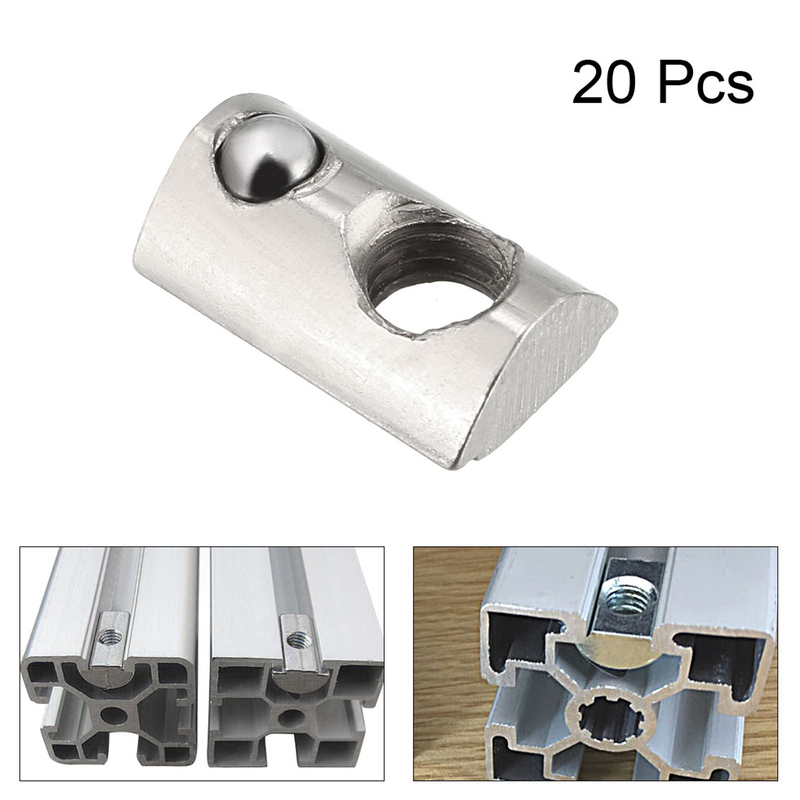 3.Suitable for standard 20mmx20mm aluminum profile extrusion slot. 4.Easy to be roll into T slot of aluminum profile.